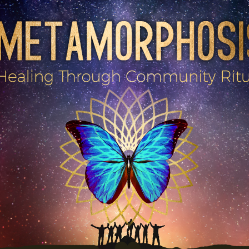 Deepen into a community of leaders devoted to the transformation of consciousness and culture! For thousands of years our Ancestors used earth-based ritual to foster social, emotional, psychological and spiritual health in their societies. Every one of these rituals, whether great or small, was to sustain the balance between the inner and outer worlds. We are in a time of revival right now, where people are once again looking to the wisdom of nature, ancestors and Soul to guide them intact through the complexities of our current traumatized and dissociated culture. Maria Owl has gathered an impeccable, heart-centered team of mentors to join her for this unique offering. They are devoted to seeing humanity thrive and know the answer is in developing resiliency. Nothing shows more powerful results in this than community ritual work. Yet we need more leaders who can put people first, walk humbly and serve honestly. Let Sacred Future hold you through your Leadership Initiation, as you step into your calling as a Community Ritual Guide. Connect with your own indigeneity and deep ancestral knowing around healing through community ritual and nature connection. Receive, experience and practice variations of earth-based ritual for community grief tending, purification, reclamation, honoring life transitions, peace-keeping, and gratitude. Earth-based ritual is not an exclusive club. Experience the power of community ritual yourself, then collaborate with peers to design and implement transformative processes that can translate to any community or situation. Explore communion with the Ancestors, spirits of place, elementals, and other spiritual allies to fortify the ritual container and hold your back as a ritual leader. As well, learn the importance and function of healthy leadership and assisting teams for larger ritual work. Learn how to track yourself and participants to perceive the unspoken, hold all wounds as sacred, and invite the shadow to heal in a community ritual setting. Participate in discussion on ritual leadership ethics, responsibilities and accountability, and design your own processes for self and group post-ritual care and integration.